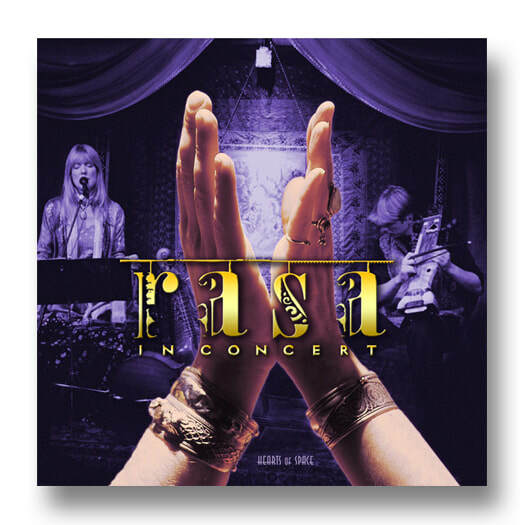 RASA's third CD, In Concert, captured a selection of live performance by Kim and Hans, who always performed as a duo. Hans had developed an intricate system of live loopers that were synchronized to looped samples that were manually triggered. Thus a live performance was a full sonic experience. RASA went through great length with their stage decor as well. A live concert was a luscious visual and sonic experience, aiming at the hearts of the audience.